Start with stunning Cambria countertops, then add other remodel products and services that Showcase Homes & Remodeling offers. You could qualify in less than 10 minutes through our paperless application. With Finance by Cambria, you can bundle virtually everything together for your kitchen, bath, or other remodel project. Just start with beautiful Cambria natural stone surfaces, and then add other interior remodel products and services we offer. 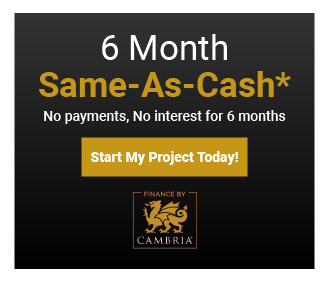 With convenient payment plans to match any budget, Finance by Cambria makes it easy and affordable to start your dream project today. *Loans provided by EnerBank USA, Member FDIC, (1245 Brickyard Rd., Suite 600, Salt Lake City, UT 84106) on approved credit, for a limited time. Repayment terms vary from 18 to 126 months. Interest waived if repaid in 180 days. 18.10% fixed APR, effective as of June 1, 2018, subject to change. Interest starts accruing when the loan closes. *Loans provided by EnerBank USA, Member FDIC, (1245 Brickyard Rd., Suite 600, Salt Lake City, UT 84106) on approved credit, for a limited time. Repayment terms vary from 12 to 144 months depending on loan amount. 8.99% to 12.99% fixed APR based on credit worthiness, subject to change. The first monthly payment will be due 30 days after the loan closes. *Financing available for residential property remodel projects using Cambria natural stone surfaces. 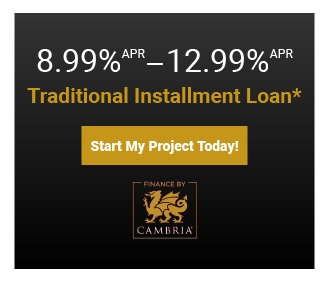 Loan proceeds can only be used for products and services your Cambria dealer offers.